First Entertainment Credit Union was founded by a group of employees at one of the leading studios in Los Angeles in 1967 with only $40. Through several mergers with other credit unions in the entertainment industry, First Entertainment grew exponentially. Today, First Entertainment manages $1.4 billion in assets, serves more than 75,000 members, and operates 10 branches throughout greater Los Angeles area. With the growth of First Entertainment and its membership, the need for improving operational processes and workflow became critical. A common problem at many credit unions is the need to quickly and properly store and destroy hundreds of checks on a regular basis. Here is how First Entertainment uses Laserfiche forms and Workflow to streamline this process. The bag creation process begins when a bag of physical checks has been produced. After bagging the checks, an employee accesses the Check Bag Creation form from the Intranet. 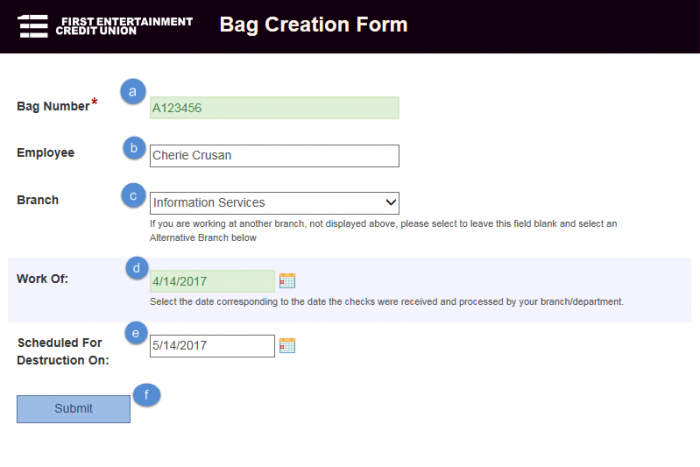 An employee fills out the bag number and the form populates the employee’s name and assigned branch location automatically. If the employee is working at another branch, they can specify the alternative branch location. 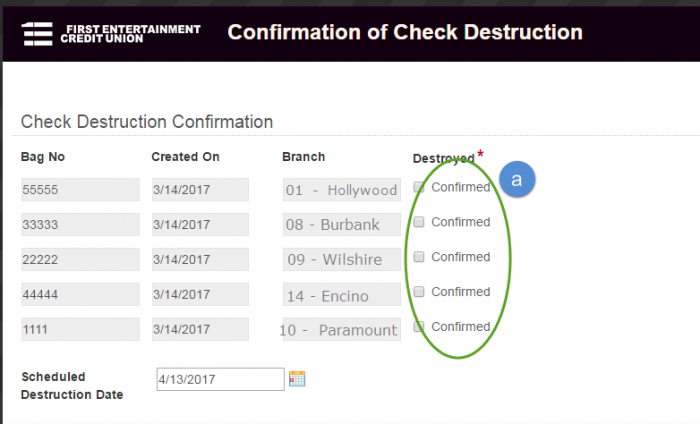 The employee adds the date that the checks were received and processed and Forms populates the destruction date by automatically calculating 30 days later. Once the branch employee submits the Check Bag Creation form, the mail room team receives an email notification. The bag of checks is delivered to the mail room by courier. Once the bag is received by the mail room, one of the mail room employees opens the Bag Receipt Confirmation form from the link in the email. The Bag Receipt Confirmation form has all the bag information already populated. The employee selects the date that the bag was received and clicks Submit. Once the mail room has confirmed the receipt of the bag, the employee who created it will receive an email confirmation. 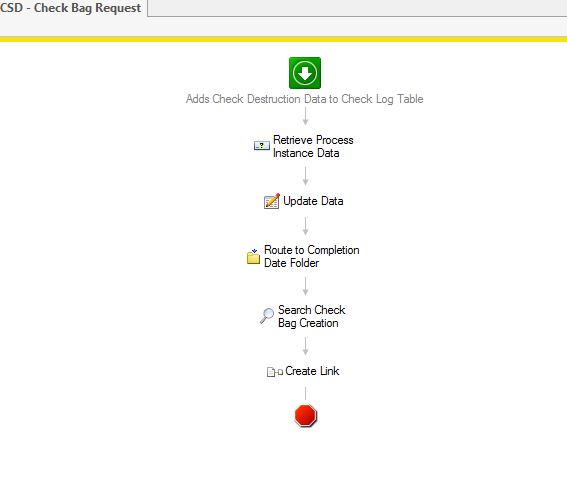 The Bag Creation and Reception process is mapped in Laserfiche forms. Once the form is saved into the repository, Laserfiche Workflow inserts the bag information, including destruction date, into a database. A different workflow runs daily to check if any bags are scheduled for destruction and if so, invokes the Bag Destruction Forms process. 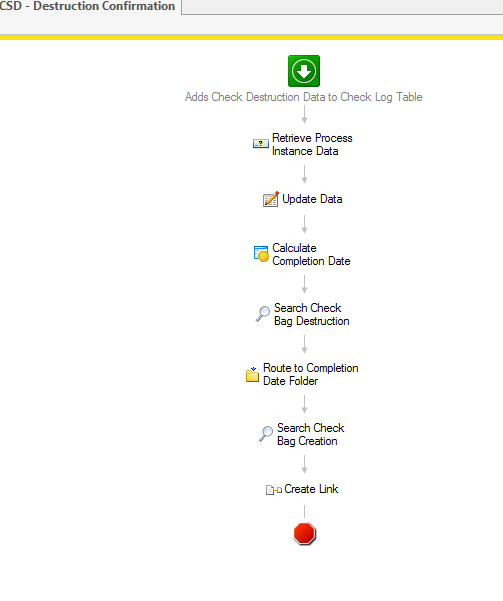 This process sends an email to the mail room team with a link to the Check Destruction form. The form lists all of the bags ready for destruction along with the bag number, processed date and originating branch. Once each bag is destroyed, the employee must confirm destruction by selecting the appropriate radio button. All bags must be confirmed as destroyed before the form can be submitted. 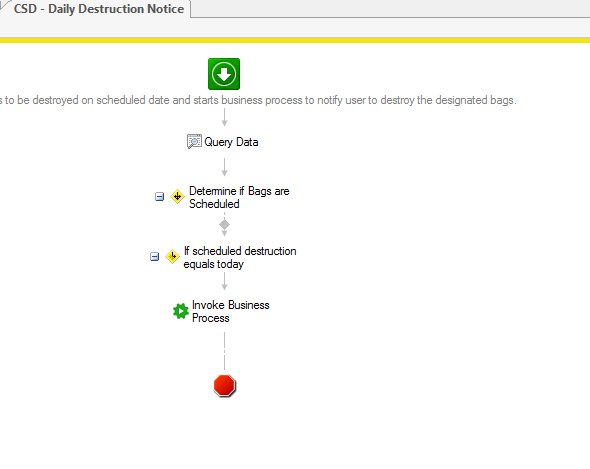 The Bag Destruction process is also mapped in Laserfiche forms. Once the form is saved in the Laserfiche repository, Workflow updates the database with the destruction information, including destruction date. Occasionally, an individual check needs to be rescanned. In that case, a branch employee submits a Check Retrieval Request form in order to retrieve a bag of checks from the mail room to rescan the item. The requester’s name and branch are automatically populated. The requester selects the work of date and the name of the branch where the check work was completed. 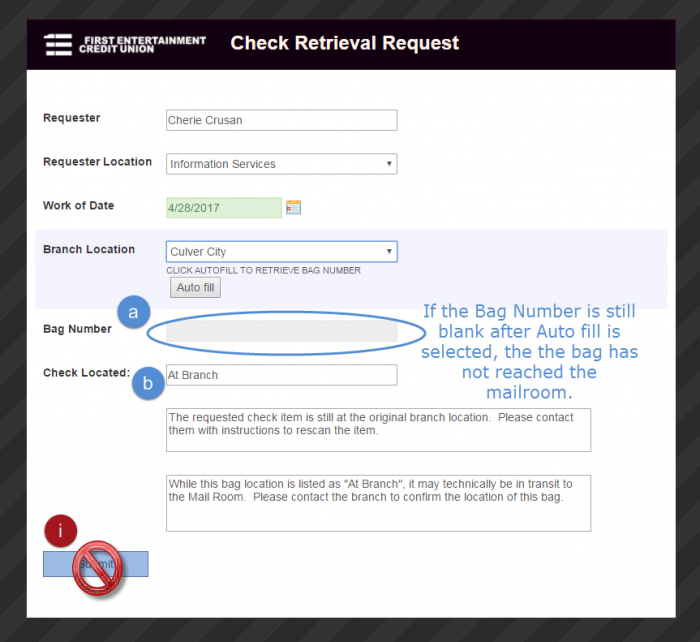 The requester then clicks the Auto Fill button, populating the Check Located field with the location of the bag and the bag number. 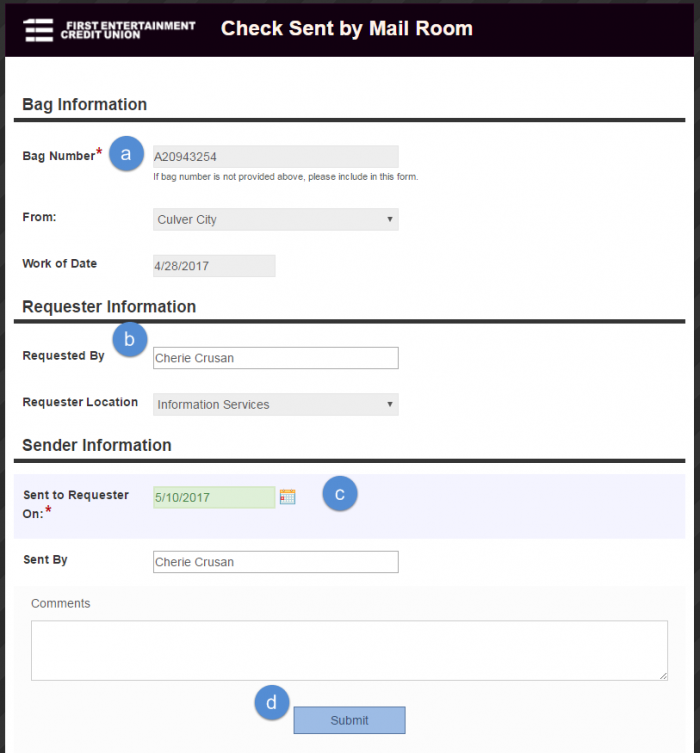 If the check bag is located in the mail room, the requester can submit the form. If the bag has not reached the mail room then no bag number will be populated. The Check Located will remain “At Branch” and further instructions will remain displayed. If the check bag is at the mailroom, the mail room staff is notified by email of the request. 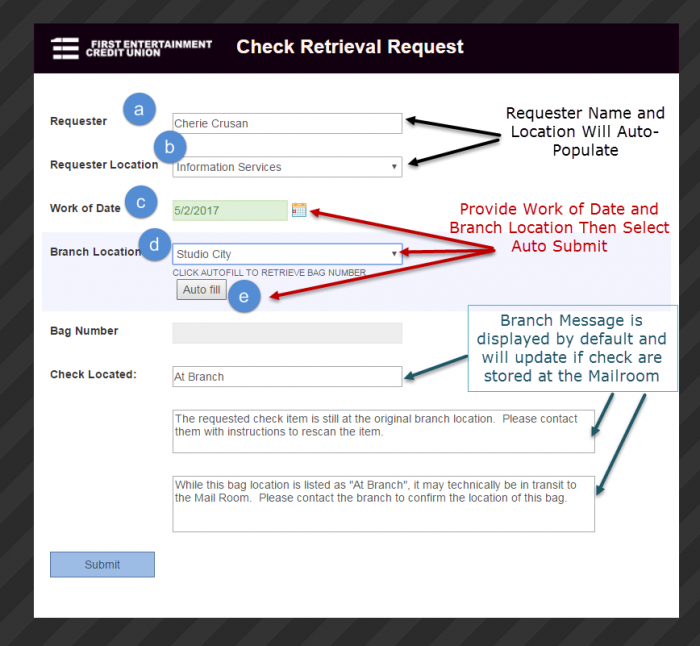 The mail room employee completes the Check Sent by Mailroom form when sending the requested checks to the requester’s location. Once the mail room has sent the checks, an email is sent to the requester to confirm the receipt of the check bag. The requester fills out the Check Bag Received by Requester form to confirm receipt. Once the checks are scanned they must be placed in a new bag and resent to the mail room. Once the mail room staff receives the checks they submit the Bag Receipt Confirmation form. 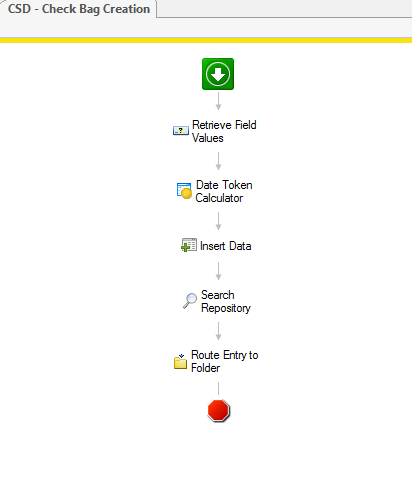 The Check Retrieval Request process is also mapped in Forms. Once the form is saved in the repository, Workflow removes the destruction date from the database and adds a Void date instead. This prevents the bag from being destroyed by accident. 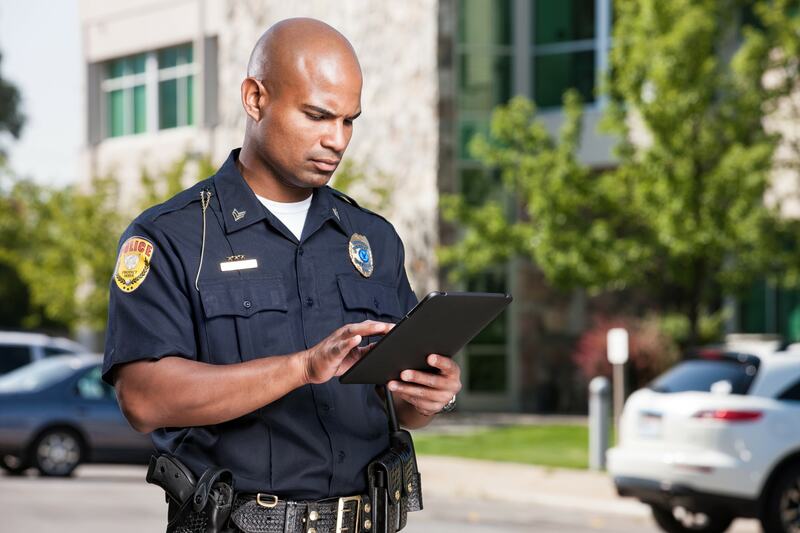 It is easy to track all of the checks and determine their exact location. First Entertainment has a record of all checks and when they were destructed, streamlining the auditing process. 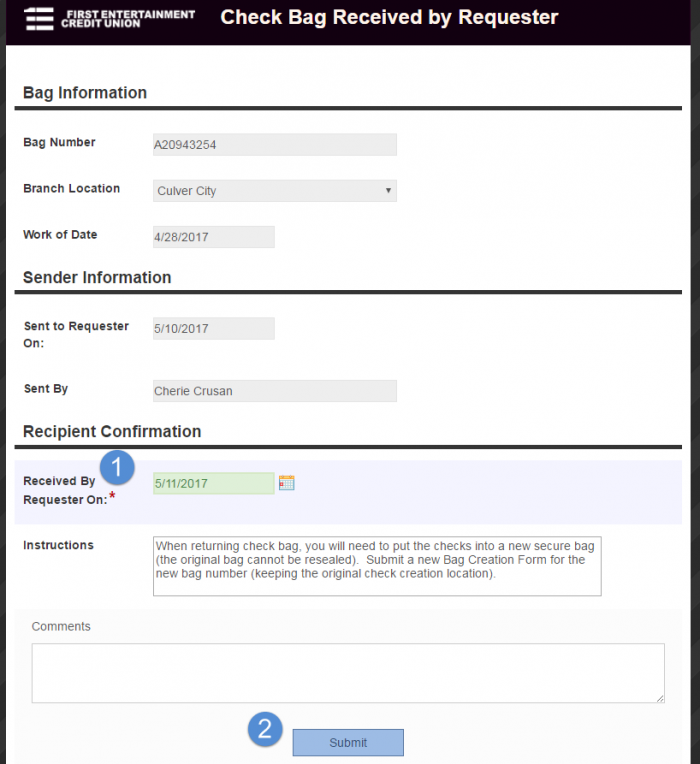 Check bag information is now automatically input in a database, instead of manually tracked, reducing data entry errors. Day 222/365 by Paul Heaberlin via Flickr. CC 2.0.